For the past decade or so, singles have spent years on an epic quest to find that perfect person. Now, more and more Millennials are ready to take the plunge - but they are getting engaged their way. Couples today want a distinctive engagement ring and experience that expresses their individuality, personal styles and stories, lifestyle and values. In fact, 63% of Millennials say that customizing their tastes and needs is a top priority. Despite this shift, the current engagement ring market and experience at retail & on-line is traditionally very transactional. 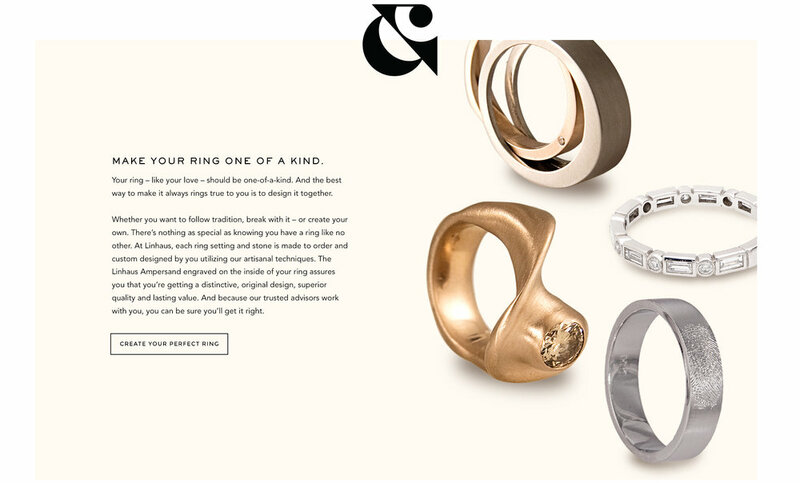 Linhaus, the fashion jewelry brand that engages couples using innovative design, advanced technology, environmentally responsible practices and personalized services, is changing that. While many engagement and wedding brands focus on the ring and the moment, Linhaus empowers couples to personally design their own unique, lasting commitment to one another. We chose “Be Engaged” as the call-to-action that celebrates the deep bond and highlights the one-of-a-kind experience Linhaus uniquely offers couples.